STEED (D'ICI, LA et meme d'UN PEU PLUS LOIN..., France) on 27 January 2010 in Abstract & Conceptual and Portfolio. Superb! this is absolutely lovely.... great composition and i like the way you focus on the water droplet? is that a morning dew? oh very lovely... you just inspired me to take something like this. Very nice composition and selective focus. Excellent title. A Tear of Rain :)) How beautiful ! Peu importe ce que c'est ... c'est une merveille de la nature ... Magnifique focus! Beautiful! I like the reflection in the drop. Great detail and focus. 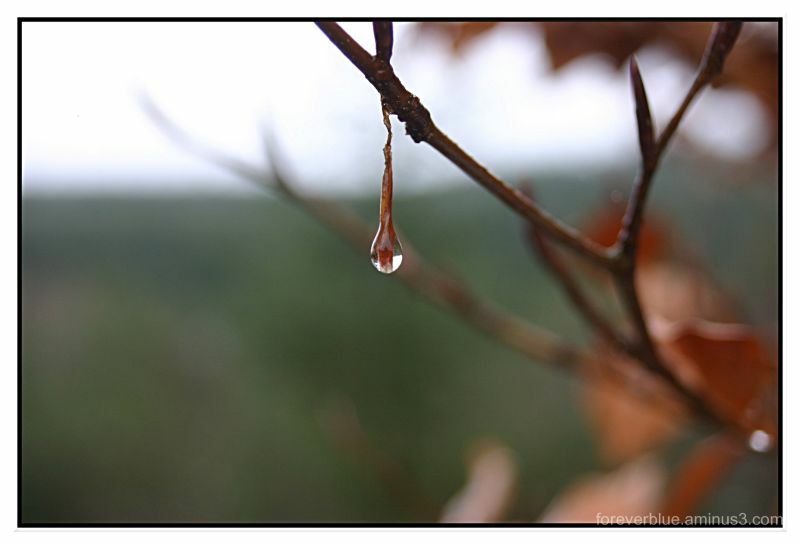 Un arbre qui pleure de froid ! Mother Nature's Tear. That is beautiful. L'instant fugace qu'il fallait cueillir...J'adore! J'adore cte photo !!! Tu nous cachais ton talent pour la macro ??? ben faut surtout pas le cacher ;D !!! !